Salsa Strategy is a simple approach that helps new leaders get over the hump we all experience when we first begin salsa dancing. It's for that transition time between beginner and intermediate where you've learned a lot of moves, but you can't "put it all together." Yet I still struggled and didn't feel confident on the dance floor. My mind seemed to go blank, and I couldn't string together any of the moves I learned. I had little musicality, and I had to think a lot about what I was doing, leaving little time to actually enjoy the dance. Things just weren't natural. 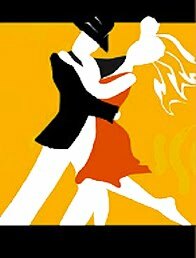 After suffering throught this awkward period, I eventually developed what I call Salsa Strategy - a very simple approach that helps me lead enjoyable dances for myself and my partners. With Salsa Strategy, I can summon moves in my repertoire and transition from one move to the next effortlessly, without very much thought. I can focus on my partner and not the moves. I am happy to offer Salsa Strategy to help beginner and intermediate leaders get over the hump, to attain a command of the dance and to enhance their overall salsa experience. Please drop me a note and let me know if you found Salsa Strategy useful. Click on Strategy Overview to learn more. Mike began his dance life in the Baltimore salsa scene learning from the area's top instructors. He quickly advanced as a social dancer, and his passion expanded to Rueda de Casino. Mike is currently hosting salsa nights, featuring lessons and dancing, at Johnny Sanchez in the Horseshoe Casino. Mike co-founded two dance companies, SalsaNow and SalsaRound (later known as the Baltimore Casineros) where he taught weekly salsa and rueda classes, and directed student dance teams. Mike organized two Baltimore Salsa Flash Mobs, events that mobilized salseros and instilled unity in our community. The first was in 2010 at Towson Town Center, and the most recent one at the Inner Harbor in June 2012. Mike also serves as an organizer of area's largest meetup group, the Baltimore Salsa Meetup. Mike has danced with several teams including Dancing with Grace, Dance in Time, SalsaNow, SalsaRound and Columbia Dance Project. He has performed at salsa congresses, community and private events. Beyond salsa, Mike also enjoys Bachata, Merengue, Cha-Cha-Cha, Hand Dance, West Coast Swing and Hustle. From 2006-2010, Mike was a Hand Dance instructor for Love To Dance Productions. Outside of his dance interests, Mike is a management professional with twenty-plus years working with pharmaceutical and healthcare organizations. Proud of his California roots, Mike is an alumnus of UCLA with a degree in Biology. He also completed the Tuck Executive Program in Healthcare Marketing at Dartmouth College. Mike is a loving husband and father of two. He also enjoys playing piano, classic cars and motorcycles, cooking, travel and gourmet dining. "Take It To The Floor."